Not all businesses should do content marketing the same way. 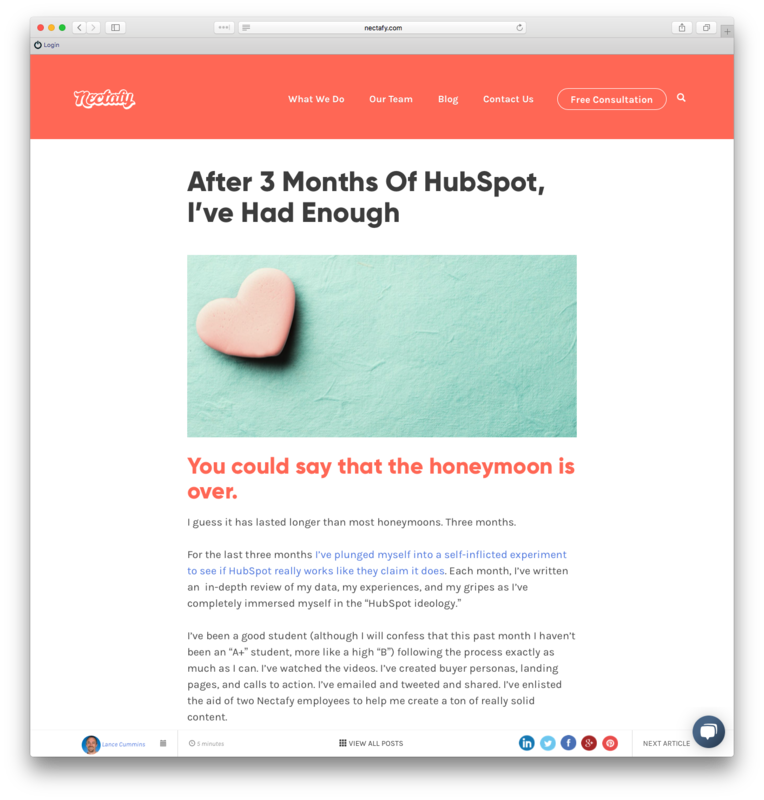 We’re starting a series of articles focusing on three different content strategies, depending on your website’s current performance. They work—we’ve used them to help our clients and ourselves grow the number of organic visits and leads, as well as customers. 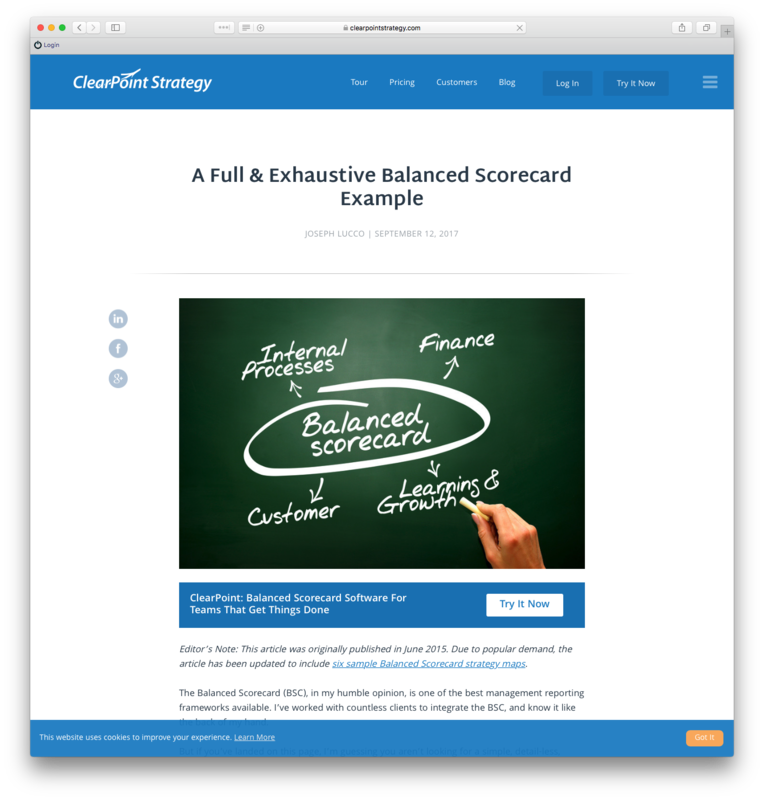 This first article details on our proven content strategy for companies that have fewer than 1,000 organic visits monthly to their website. You have fewer than 1,000 visitors (or in that general ballpark). You have a domain authority of 0–20 (your site isn’t very authoritative). If you can check off either item, that means your website isn’t trusted by Google yet. That’s probably the case for one of two reasons: Either your website is brand new, or the content plan you’re using isn’t working. The first one is self-explanatory (you started your website within a year), but the second requires a little more explanation. 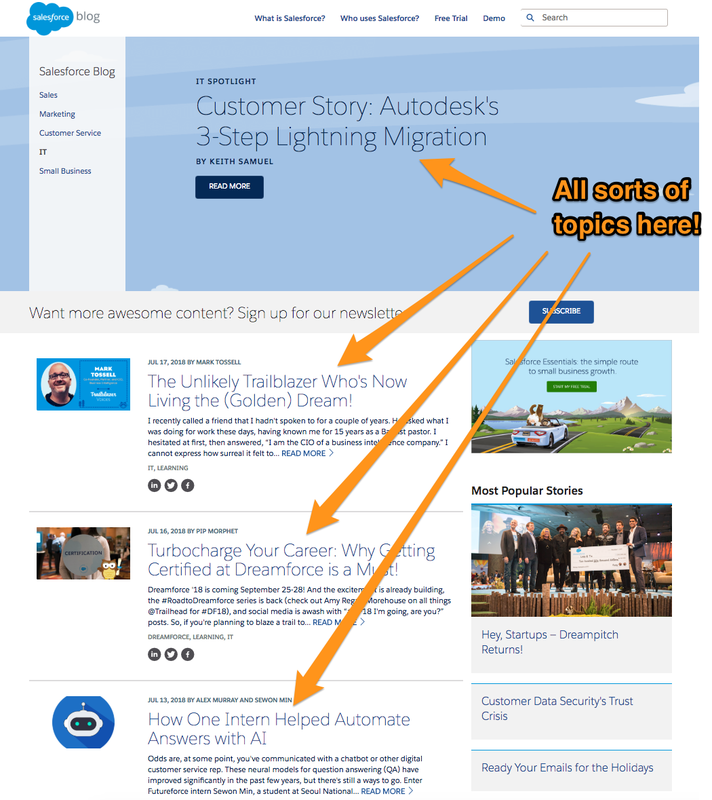 If you’re Salesforce.com, you can write blog posts about anything you want and still get rankings—that’s because you’re in the top bracket for traffic and domain authority. If you focus on creating really helpful content that fits your persona as much as possible, you’ll grow exponentially. But, if you’re a CRM startup who is a competitor to Salesforce, you can write all the same content as Salesforce and get no visitors or leads. Why? Because your website authority won’t allow you to succeed with the same strategy. If you’re a company with an existing website “doing content marketing” and writing blogs but not seeing any results or growth, you’re deploying a strategy that doesn’t fit your scenario. 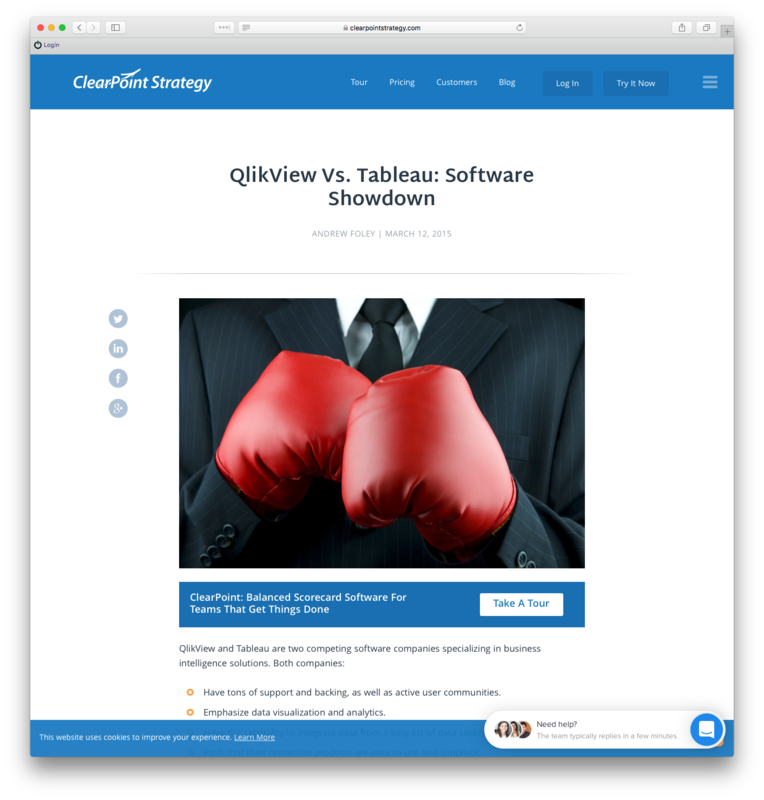 If you’re a new CRM software company, you won’t rank for the term “CRM software” for a really long time (we’re talking years), so your first articles shouldn’t focus on it. There’s no benefit, in your case, to be had. 1. Write blog posts about non-competitive keywords. Write about keywords that have a competition lower than your Domain Authority when put on the same scale of 0–100. Just as your articles are ranked on a scale 0–100, keywords are also ranked. Google Keyword Planner provides a "competition" number between 0–1 (if you spend on AdWords with them), but you can translate that to 0–100 easily. SEMRush provides a "Keyword Difficulty" number 0–100. SEMRush is better if you can use it, but Google Keyword Planner is fine if that's all you have access to. Pick keywords to start with that have lower competition index than keyword authority (also known as keyword difficulty or keyword competition index). In other words, if you have a Domain Authority of 20/100, pick keywords that are between 0 and 19 out of 100 and write about those topics. Comparison posts: People like to compare their options, so make it easy for them—do the research and present it in a blog post. You can find out all the details for the strategy and creation of comparison posts in our article, A Non-Competitive SEO Strategy: Comparison Keywords. Review posts: Product-review posts are not competitive, but they feature useful keywords about topics your audience is interested in. We’ve seen our clients rank with these. 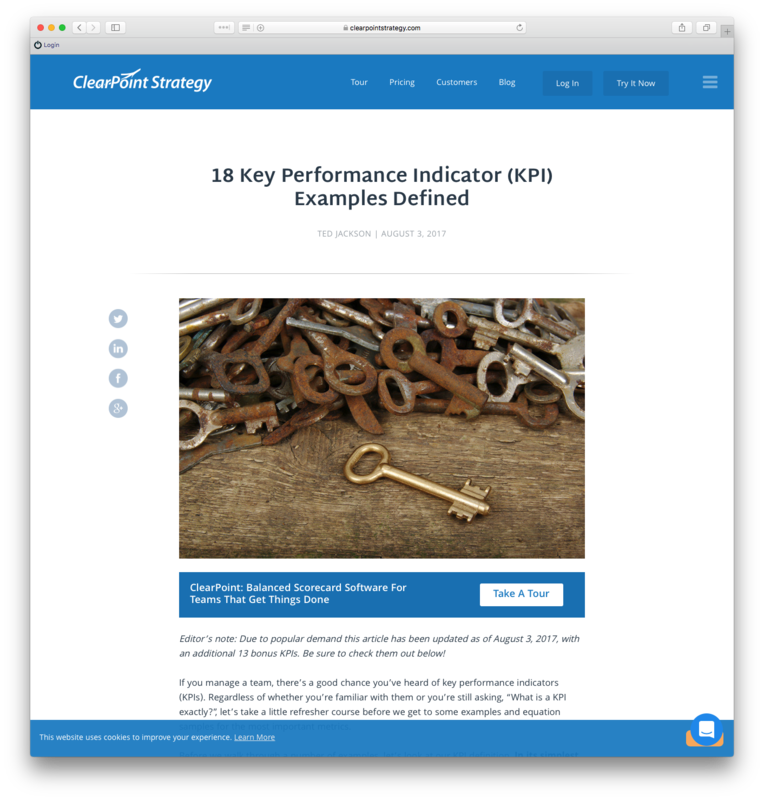 KPI posts: Every persona is interested in key performance indicators (KPIs) for their industry, yet articles on KPIs aren’t competitive. 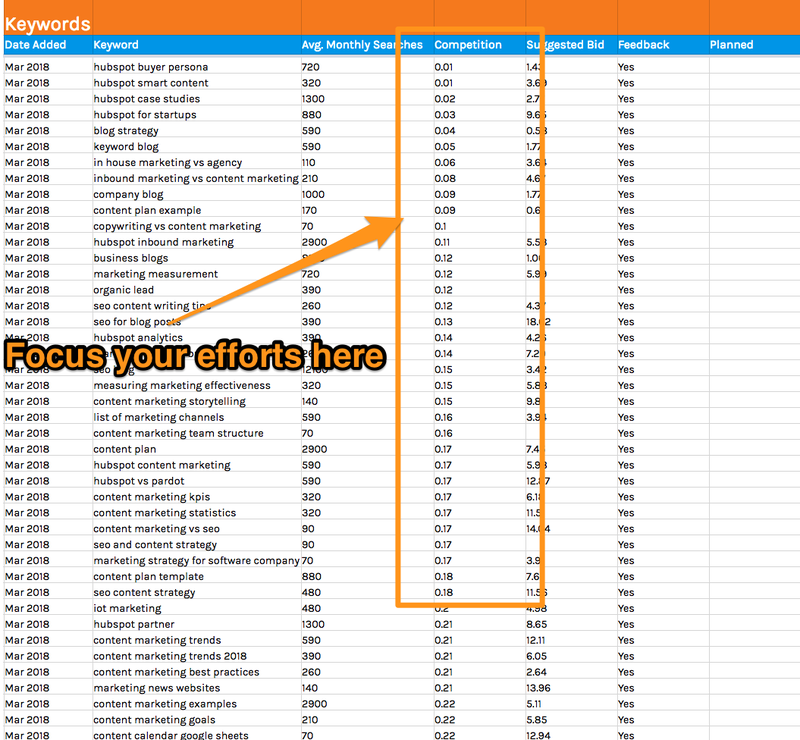 Writing about KPIs is one way to find keywords below your domain authority. Here are two methods you can use to find the right KPI keywords in your industry. Templates, examples, and checklist posts: These types of posts are a layer below the keyword, so they are less competitive, but also tangible and useful for the audience. 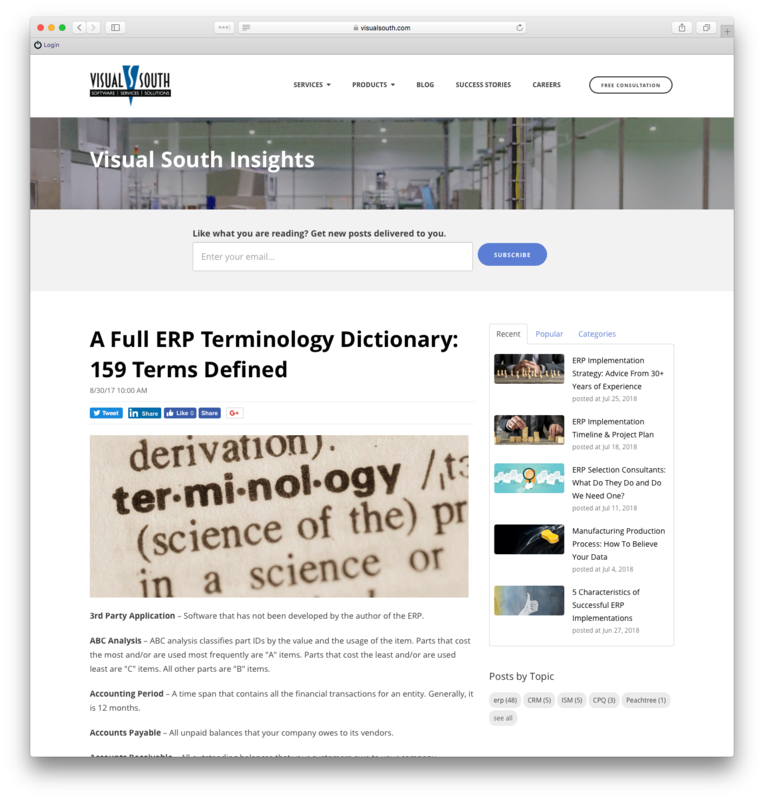 Terminology/dictionary/glossary posts: These easy-to-write posts are explanations of your industry’s terms that help you get a foot in the door with your keywords. 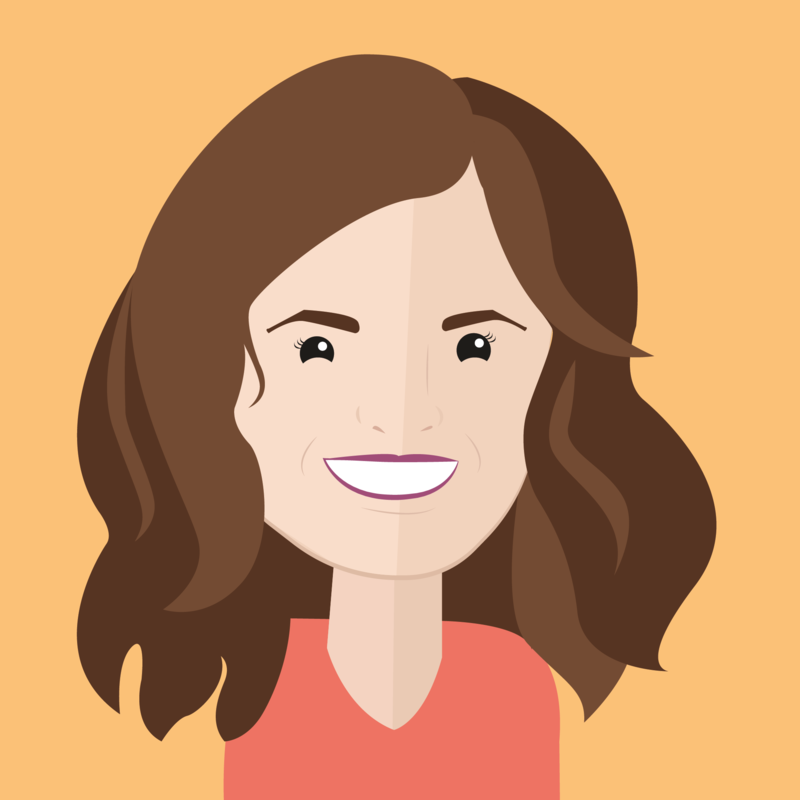 You could do content strategy yourself, or you could talk to us about your situation. We’ll help get meaningful business results from your blog. 2. Write thorough, high-quality, long-form blog posts. 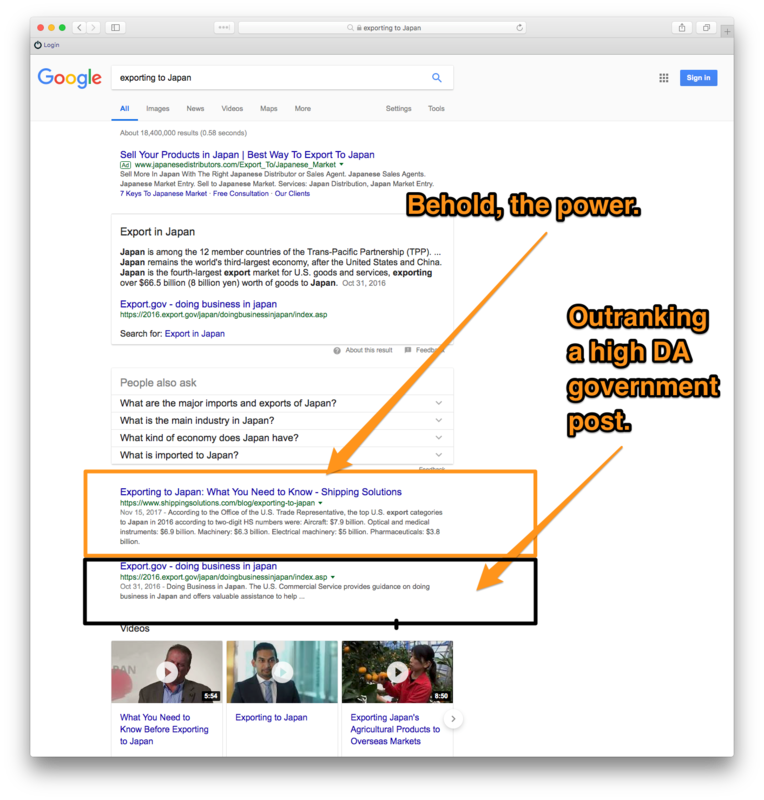 Pillar pages (which we call reservoir posts) are very long articles that target bigger keywords in your industry. With reservoir posts, the keywords you write about are more competitive than your Domain Authority, but in order for these to be successful, you need to knock them out of the park. Pillar pages give you an opportunity to rank for competitive keywords you would not be able to rank for in normal-length or long-form blog posts. The only way you can compete is to make your pillar page the absolute best resource available on the topic. By doing so, you can get traction for more in-demand keywords and more competitive topics. Factors for a successful pillar page include word length and quality. Longer content length is correlated to higher rankings in Google, because the more high-quality, extensive content you can provide, the longer people stay around to read it. Time on site is the second most important factor to Google as it is an indicator of quality—the longer someone stays around to read your article, the higher quality it is. This article about exporting to Japan actually outranks the U.S. government’s post for the topic—even though the government has a Domain Authority of 90 and ours is 36. We outrank them on this topic because people stay longer on our article, most likely because they find ours more useful. If you do reservoir posts the right way, people will stay on your page longer than sites with a higher Domain Authority, and over time, you will get more traffic because of the page. We define long-form content as 1,200– 1,500–word articles. Long-form content gives you a better chance of ranking with keywords that are above your Domain Authority (but still not extremely competitive). 3. Make connections to get quality inbound links from other sites. If you’re in this phase, you’ll need to start gradually building your website’s authority over a four- to six-month timeframe. You can do this by writing guest posts and using inbound links. Use connections online to write guest posts. Find websites with similar or higher authority within your industry and ask if you can write a guest post for them in exchange for a quality backlink to your site. This tactic increases your authority across the board and gives you an indirect ability to rank for more keywords. 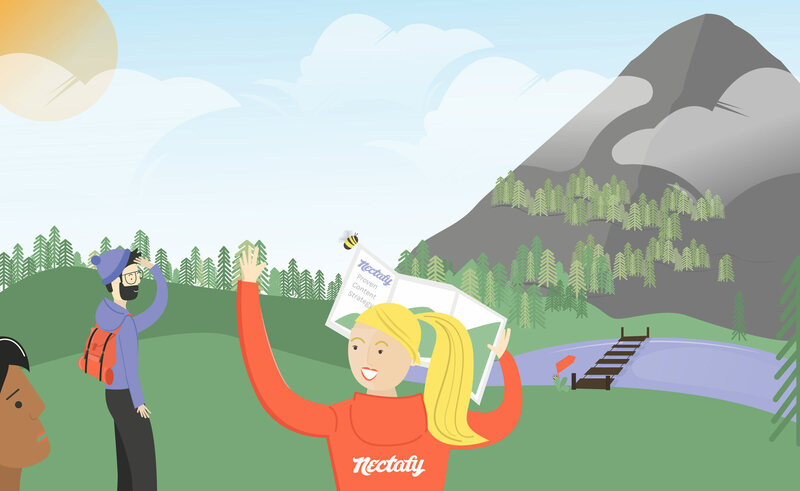 For example, when Nectafy was just starting, HubSpot linked to our website from their ROI page. We were non-authoritative at that point and not on Google’s radar at all, but HubSpot’s link gave us authority. 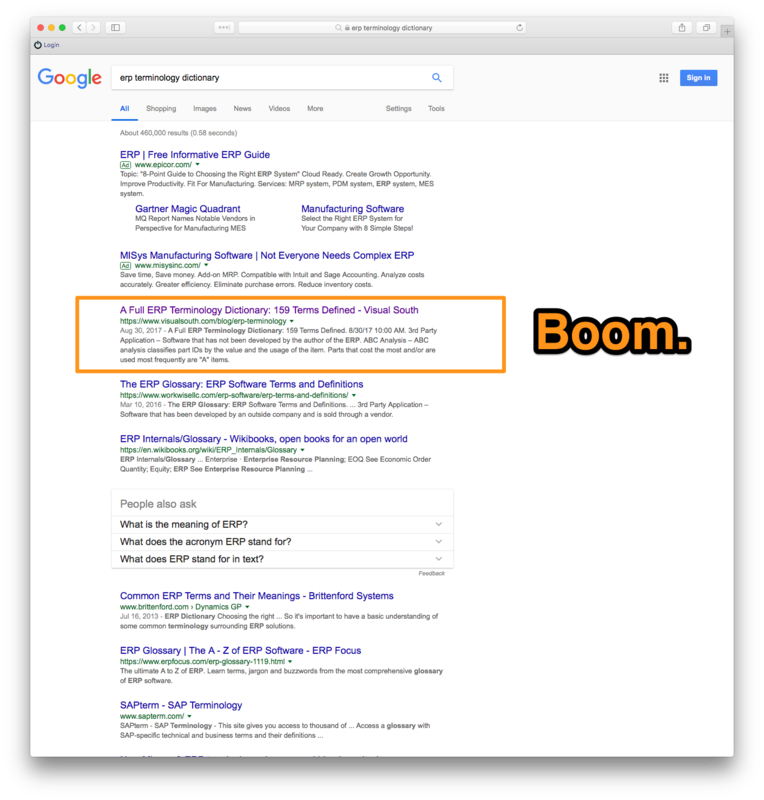 Since then, if we write about a keyword with the word “HubSpot” in it, we will likely rank on the first page of Google. You can Google “best guest-blogging opportunities” and your industry name to find other companies you may be able to write for. You should also ask your network of friends, partners, and industry contacts. The final tactic for content strategy if you have a website with less than 1,000 organic visits per month is to produce the best content possible. 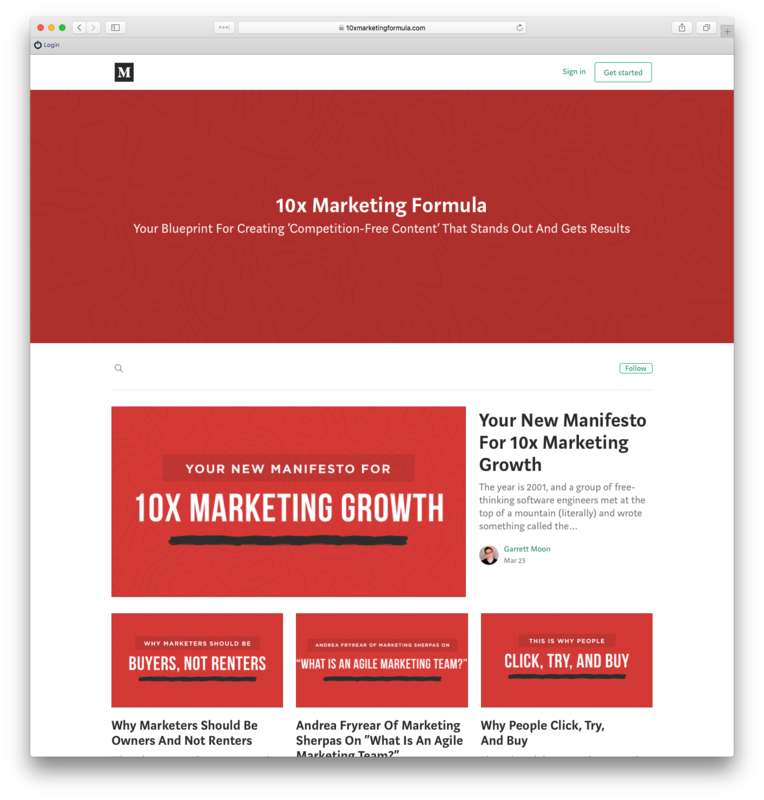 Any content you write should be ten times better than anything else out there (thanks to Garrett Moon and the 10x Marketing Formula for this idea). This kind of content gets links and shares, and it is especially important when you’re in this bottom bracket of authority. In your current state, you don’t have a chance to rank for those amazing keywords you really want. So you have to pay your dues first. Using the strategies above can help you build your site’s authority first, then graduate to the next phase—but if you skip these steps, you won’t ever have a chance to rank for the most important keywords in your industry. If you want some help with this process, or you’re wondering if it will really work for you, talk to us. We’ll have an honest conversation about how to get meaningful business results for your company using growth content.